With a title like Wilson, you might expect this 2017 film to offer either a biography of our 28th president or a volleyball-centric sequel to Cast Away. Nope – instead, the film provides an adaptation of Daniel Clowes’ graphic novel. Wilson (Woody Harrelson) leads a fairly neurotic and lonely life, as his relationships tend to fail. He used to be married to Pippi (Laura Dern), but that union flopped for a variety of reasons. Wilson’s path takes a turn when he learns that he and Pippi have a daughter he didn’t know existed. Pippi gave her up for adoption, but Wilson tracks down teenaged Claire (Isabella Amara) and launches an unusual family reunion. 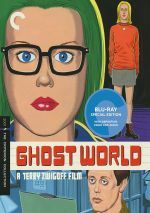 Undoubtedly, 2001’s Ghost World remains the best-known adaptation of Clowes’ work – not that it has much competition. Wilson becomes only the third feature based on a Clowes property – and it’s the first not directed by Terry Zwigoff, as Craig Johnson takes the reins here. 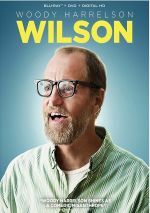 This means that although Wilson boasts the same cynical, curmudgeonly background as Ghost World, it doesn’t seem as hard-egded. That becomes a drawback, as the movie tends toward a sentimental feel. While this doesn’t become an overwhelming trend, it feels a bit out of synch with the material. Clowes’ world tends to work better when treated in a fairly dark way that eschews a gooey vibe, and some of that emerges here, but too much of the movie leans toward mild sappiness. The story also veers down some semi-absurd situations as well. To avoid spoilers, I won’t detail these, but I think matters go goofy once we get to the third act, and these choices feel odd and off-putting. The cast helps redeem the material, though. Harrelson offers a delightful turn in the lead, as he manages to convey Wilson’s lack of polish along with the weird comedy of the situations. In addition to Dern, we get a supporting cast filled with talents, all of whom bring depth to the proceedings. Largely due to those actors, Wilson manages to provide moderate entertainment across its 94 minutes. However, it sputters too often and lacks the consistency to become a wholly satisfying tale. Wilson appears in an aspect ratio of approximately 1.85:1 on this Blu-ray Disc. This became a fine image. In terms of colors, the movie opted for orange and – especially - teal, though it kept these subdued, so they didn’t go crazy. The low-key palette seemed satisfactory. Blacks were pretty dark and tight, and low-light shots displayed good clarity. Across the board, the visuals appeared positive. I wouldn’t anticipate fireworks from the audio for a comedic character piece like Wilson, and itsDTS-HD MA 5.1 track gave me the expected subdued affair. Music became the most prominent aspect of the soundfield, as the score and songs used the five channels fairly well. Effects had less to do. Ambience ruled the day, so not much more gave the track pop. Occasional exteriors – such as on trains or in streets – added a little zest, but this remained a pretty low-key presentation. 15 Deleted Scenes fill a total of 16 minutes, 48 seconds. These tend toward minor character beats, with an emphasis on the title role. These result in some amusement and a little more depth but I can’t claim we find anything substantial. Under Promotional Materials, we get three short featurettes. These include “Who Is Wilson?” (2:00), “Strip to Screen” (1:49) and “The Women of Wilson” (1:41). Across these, we hear from director Craig Johnson, writer Daniel Clowes, and actors Woody Harrelson, Judy Greer, Isabella Amara, Cheryl Hines, and Laura Dern. They discuss story/characters as well as the adaptation of the original graphic novel. “Strip” lets us compare parts of the film to Clowes’ comic, and those moments work well, but otherwise these featurettes remain superficial. A Gallery appears next. It shows 24 shots from the set and becomes a decent collection. The disc opens with ads for Table 19 and Absolutely Fabulous: The Movie. We also get two trailers for Wilson. A second disc presents a DVD copy of Wilson. It includes the same extras as the Blu-ray. Led by a terrific lead performance from Woody Harrelson, Wilson’s best moments stem largely from its actors. Unfortunately, the narrative lacks a lot of cohesion and the movie’s sense of sentimentality makes it less involving than I’d like. The Blu-ray offers very good picture as well as acceptable audio and a smattering of bonus materials. We get enough from the cast to make Wilson watchable but it falters too often.